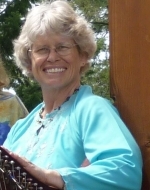 Barbara Calm grew up in a musical family in Colorado but pursued veterinary medicine as a career, reserving music as a joyful respite from a busy practice in beautiful downtown Kila, Montana. Her current instrument of choice is the hammered dulcimer, and she wields those hammers to create soaring melodies and sweet harmonies that weave around the rest of Tra le Gael. Her dulcimer is also a driving force in this band, true to its percussive roots, and she has recently taken up tin whistle and octave mandolin, on top of trombone, marimba and guitar. She loves to find avenues of musical expression that bridge different genres.Â Barbara is a world traveler and still finds Montana to be the most wonderful place on the planet. Katy Meyers' first musical performance was reported to have been at the age of two, standing atop a dirt pile singing, "Jesus Loves Me" in a thunder storm in Pennsylvania. Her first instrument after that was the piano, later the cello, and then on to many voices of recorder, playing in local consorts. 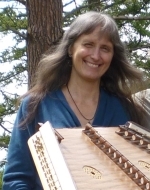 Winding down her 30 year career as a Montessori teacher, she took up the Celtic harp in the 90's, and has become a certified music practitioner, providing therapeutic music at bedside at North Valley Hospital. She has traveled to Ireland three times to study at the Irish Harp Centre in County Limerick, Ireland. The Celtic harp adds resonance and depth to the Tra Le Gael sound, though the only problem with playing the harp is that it doesn't fit in her kayak. 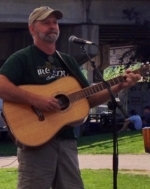 Ed Boggs brings a diversity of musical experience to the Celtic music style of Tra le Gael. From playing fiddle and mandolin in country rock and swing bands to building Zimbabwean style marimbas, he knows that good music has no boundaries and embraces it all.Â His rhythm guitar is at the heart of Tra le Gael's energetic sound, with his fiddle providing melody whenever we let him put the guitar aside.Â When not playing music, hiking or caring for his family, Ed can be found transforming buildings and walls with rich color and texture, as a professional painter for much of his life. 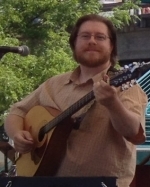 Jason Foy grew up in the Flathead Valley playing garden variety band instruments, but always had a strong interest in Celtic music and culture.Â He was influenced first by traditional Irish musicians and soon went on to emulate the more contemporary Celtic bands and instrumentalists, teaching himself to play Irish flute and whistle, as well as mandolin and Irish bouzouki. Jason's knack for finding new music and his need to continually challenge himself and the rest of the band with new material keeps our repertoire fresh and exciting.Â Â He simply loves to play music and his enthusiasm shows in his skill with the many instruments he brings to Tra le Gael. Tra le Gael was co-founded in 1999 by Gary Morris on guitar and mandolin, Katy Meyers on Celtic harp, Karin Hilding on flute and penny whistle, Sue Jostrom on fiddle and France Dupuis on cello, as an organic extension of a Celtic music class at North Valley Music School in Whitefish. They recorded their first cd, Celtic Turns in 2001. As Sue and then France transitioned out of the band by 2002, Barbara Calm joined on hammered dulcimer. For ten years Tra le Gael was the quartet of Gary, Karin, Katy and Barbara, and developed into a local favorite band. They performed at community concerts, festivals, dances and private events throughout Montana and at the NW Folklife Festival in Seattle, made their 2012 cd Sailing Home to Glacier, and appeared on the Montana PBS program 11th and Grant with Eric Funk. 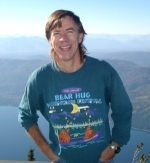 This era came to a sudden close on May 14, 2012, when the world lost a kind and talented musician-- Gary Morris passed away unexpectedly at home. He was an amazing multi-instrumentalist, playing guitar, mandolin, concertina, banjo, whistle and trumpet as well as adding a lead or harmony vocal to the band's wide repertoire of tunes and songs. He was also a busy song writer and composer, and some of his music is found on the recordings and in the current repertoire of Tra le Gael. Gary's deep love of the Celtic musical tradition is expressed through his music and in the sound of Tra le Gael, and his imagination fueled many of the band's arrangements. His greatest joy was playing music with other people, and in finding the magic that comes from listening and playing and creating together, in any musical genre and on any level. We miss him so much, and hope to honor his memory by continuing to make great music and explore new tunes and ways to play them.